Dimensions 1 by 6.75 by 10 in. Amazon.com description: Product Description: This work comprises a literary comparison of surviving alternative versions of selected narrative-cycles from the Nights. Pinault draws on the published Arabic editions -- especially Bulaq, MacNaghten, and the fourteenth-century Galland text recently edited by Mahdi -- as well as unpublished Arabic manuscripts from libraries in France and North Africa. The study demonstrates that significantly different versions have survived of some of the most famous tales from the Nights. Pinault notes how individual manuscript redactors employed -- and sometimes modified -- formulaic phrases and traditional narrative topoi in ways consonant with the themes emphasized in particular versions of a tale. He also examines the redactors' modification of earlier sources -- Arabic chronicles and Islamic religious treatises, geographers' accounts and medieval legends -- for specific narrative goals. Comparison of the narrative structure of diverse story-collection also sheds new light on the relationship of the embedded subordinate-narrative to the overarching frame-tale. 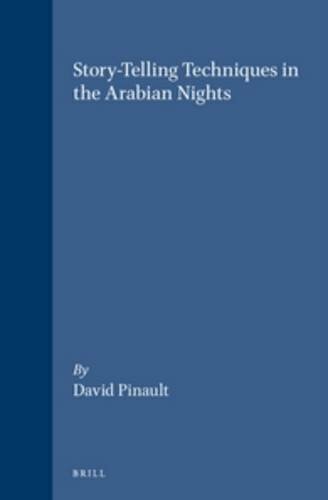 All cited passages from the Nights and other Arabic story- collections have been fully translated into English. About: This work comprises a literary comparison of surviving alternative versions of selected narrative-cycles from the Nights.